The Emma harness is a versatile piece that you can wear with lingerie or incorporate in your outfit. 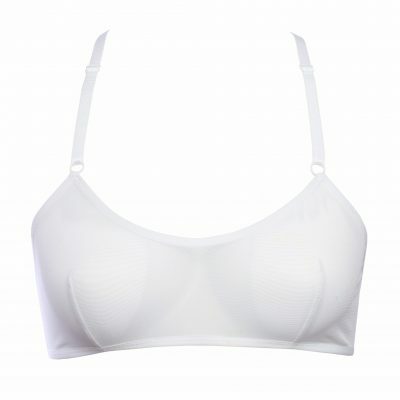 It compliments a deep decollete, and it will suit a crop top or sheer clothing just as well! The white elastics are complemented with white or golden metal sliders. It is also very easy to put on – just slip it on like a vest! 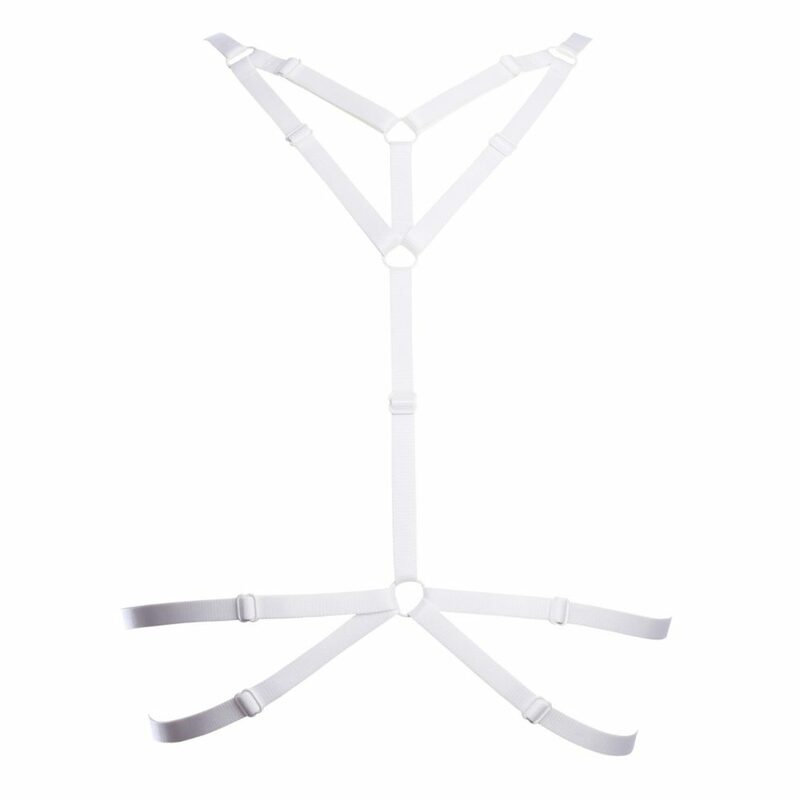 This handmade harness comes in two sizes, but the straps are adjustable to ensure perfect fit. It is made from high quality elastic and features metal sliders. NOTE: This item is made to order, so please allow 1-2 weeks for your item to be shipped. If you are in a rush, please let us know BEFORE you purchase this product so that we can let you know the earliest send-out date!